Vines are a format to squeeze the most funny, beautiful, breathtaking moments into. Defying traditional narrative with their format, they’re a lot like trailers. And like a great trailer, they make you want to watch the movie. 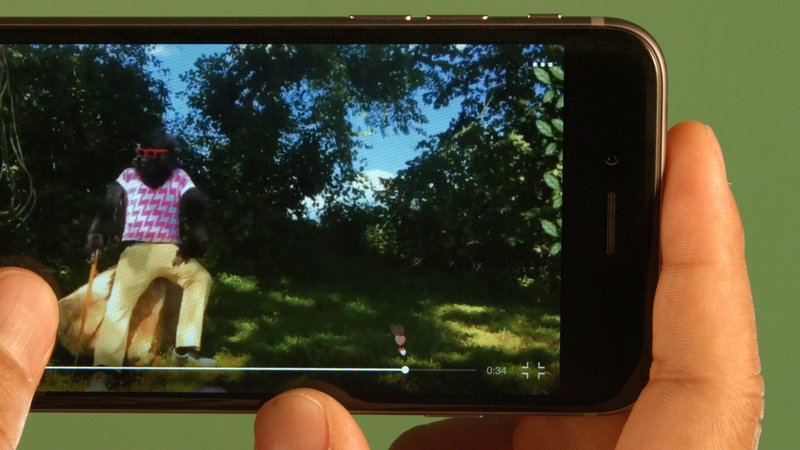 With this beta release, a Vine can now be a trailer that points directly to a mini-movie. I worked with a small in-house team to create an instructional video pinned to every user's feed to explain the new #BeyondtheVine feature. 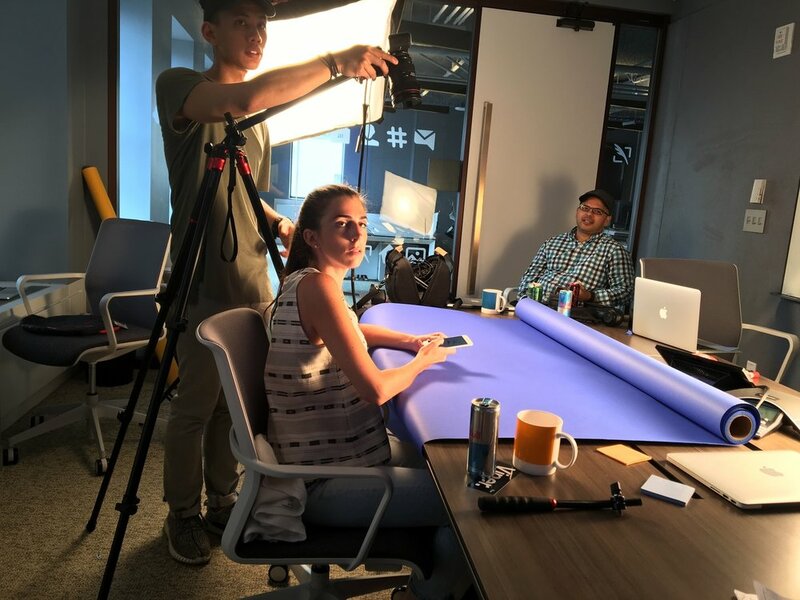 I worked with a small in-house team to create an instructional video pinned to every user's feed to explain the new #BeyondtheVine feature along with a marketing campaign to announce it. The announcement video was hidden behind a "Cover Vine" with a "Watch More" button in the lower corner. 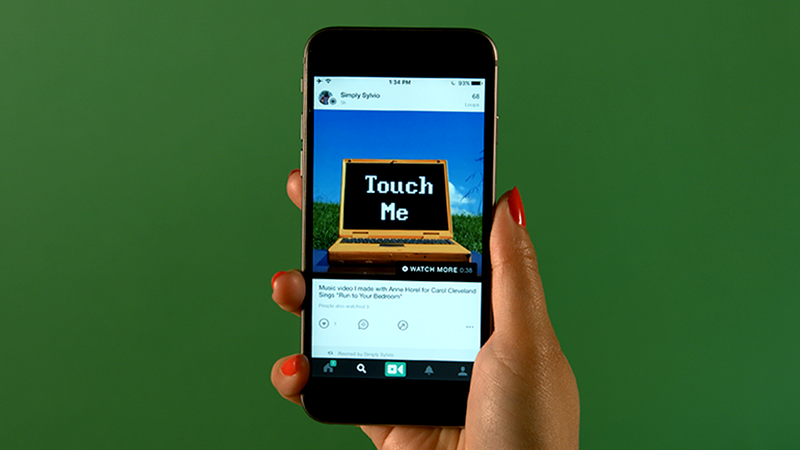 With the main objective of having users click the button to watch the full video, I created an eye-catching, perfectly-looping Vine meant to draw attention from all users and simultaneously point out the new feature. Accompanying the announcement video, we created a simple splash page where users could sign up for Beta access. 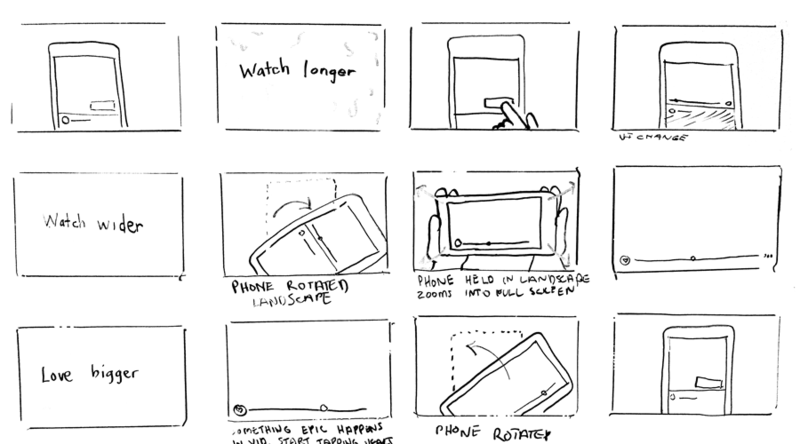 With zero budget, our team of three shot and produced everything in-house simply using colored paper, our phones, and our coworker's hands. 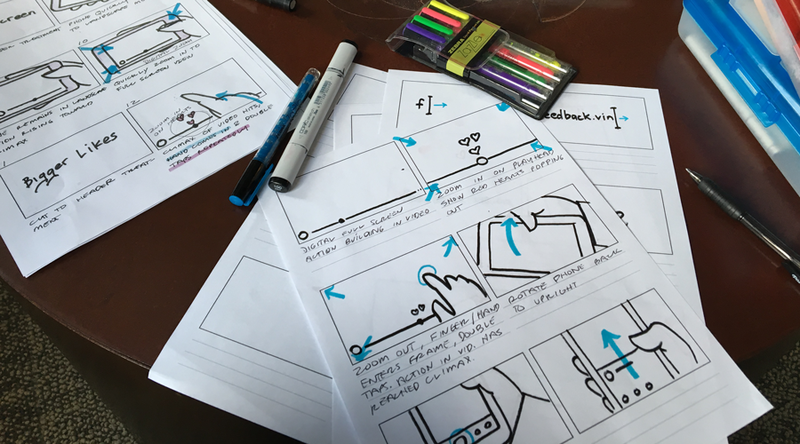 After collaborating with our Marketing PM to draft a script, I created the storyboard, art directed the shoot, then edited and produced the video for launch. All footage shot in-house at Twitter HQ in New York. Video edited in After Effects and Premiere Pro. Special thanks to Jackie Iskyan, Janessa Det, Julia Sterling, and Jeremy Hudson for their hand modeling.